First things first. I know a lot of photographers that aren’t fans of the Chinese speedlights. The quality control apparently has been an issue, along with a very painful warranty process. As of now, I only own one Yongnuo flash, and it has been great, no issues at all with my trusty YN-468 II. In fact I love it, and will be including it in my comparison. If money was no object, then I would definitely just buy myself a few SB-910‘s, but alas, my 9 month old eats A LOT, and it’s better spent on the little guy. I use my lights on manual about 75% of the time. That being said, for those times I do want to use TTL, if I’m in a rush, it’s really nice to have. I’m on the fence about it, so I’ll include both manual and TTL off camera capabilities. Can function in slave mode. Currently I have a set of the awesome 622n’s, and plan on buying another set, but I like the option of being able to trigger the flash when it sees another one trigger, in manual mode of course. Is reasonably powerful, but I don’t need anything more than my SB700, although I wouldn’t say no to more power. High Speed Sync. HA! Wishful thinking, and impossible at this price, but I can dream. 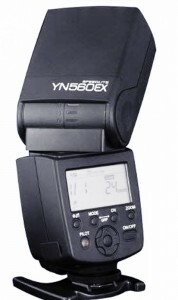 At the top of my price point, is the YN-560EX. This flash is interesting in that if you use it on camera, it can only function as a manual flash, but off-camera you can use it in manual or in TTL mode. According to specs, it’s GN is 58 at ISO 100, about the same as the SB-900. 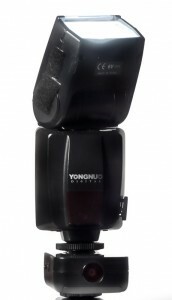 Yongnuo has a tendency to stretch the truth on their flash power though. There are a few other interesting things of note about this flash. You can use it in TTL mode with a Nikon or Canon camera. There are two additional slave modes to set your brand. Another very cool feature is if you have Commander mode built into your camera, you can control the flash right in the menu on the camera! That is pretty awesome. you can change it from TTL to manual, flash compensation, etc. I don’t really care about the Nikon and Canon compatibility, but the control through the camera is a welcome addition. I’m liking this one so far, definitely a contender. My old friend, the 468 II. I reviewed the 468 II already, so I’ll say a few things about it. I love this bad boy, and I’m going to have to really like another flash to not get another one. It works great as a slave, operating in manual and TTL off camera, has a very easy to use LCD interface, and has decent power. In fact, the only gripe about it is I wish it had a bit more power, it is rated at GN 33, and is probably a little less. Other than that, it is fantastic. It’s been very reliable for me, and at a great price. 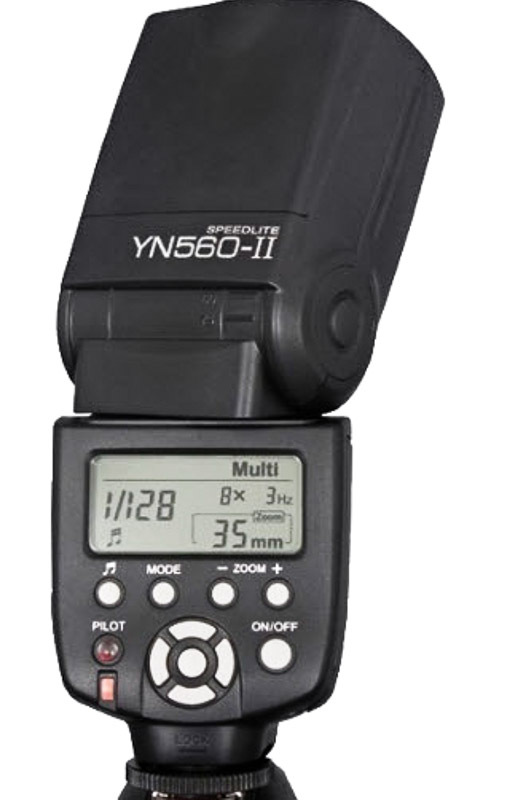 This is the upgrade to the extremely popular YN-560. It adds a LCD panel and a few other features, most just fluff. This is one I would consider, even though it’s fully manual. It’s rated at GN 58, which I’m sure is not quite the truth, but it still blows away the 468II in terms of raw power. 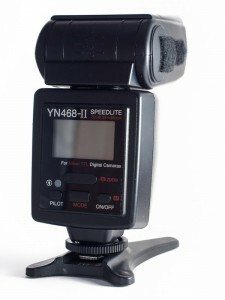 The reviews of this flash look pretty promising, and if it is anything like the YN-560, it’ll definitely be a winner. I may even be able to get away with getting two of these jobs. 59 dollars? It almost seems like a joke. So there it is….after sleeping on it last night, I figured I’d finish this post tonight. I think I’m going to go for the 560 II. It was a pretty close call. The 560EX had everything I wanted, save High Speed Sync, which I wouldn’t get at this price point anyways. But I don’t use TTL enough for the extra 35 bucks, especially when I can grab two of the 560 II’s. As much as I love my 468 II, the difference in power on the 560 II is what really made me chose it. The price difference isn’t quite so high, but still 30 bucks. This isn’t to say that the 468 II isn’t a great flash, it is. But I also already have 2 TTL flashes, and after going over the numbers last night, it’s probably more than 75 percent of time that I use manual. If I need TTL, my SB-700 and 468II will do the job, and I can use one of the 560 II’s for a background or hair light, which work fine in manual mode. Now to go ahead and order a few of them, using my “separate” account….. I have just bought a SB700 which I want to use as a master to trigger SB600 off camera (and later for controlling YN622N). I have read on some websites that the preflash from master when set to “–” shouldn’t contribute to exposure at all. I know you use the same equipment (D90 and SB700), so I would like to ask you if you can confirm if the master contributes (or not) to the exposure… and also what it does when it is on top of the YN622N. Hi there! I have used the SB700 as a master, but only a few times, I prefer to just use the pop-up flash for CLS. When I did use it, as you did, I set the master to –. I also pointed the flash either straight up or even behind me. I didn’t have any problem with the off camera flash seeing it, even when pointed behind me. I have also read that it shouldn’t contribute to the exposure, and most of the time it didn’t, except if I was taking a close up/macro shot, then it definitely contributed. I would also get a reflection of the master in some shots, especially if it was pointed at any type of glass. For example, once in a while I’ll do some high speed shots. I use an empty 20 gallon fish tank, off camera flash above and below the tank. The damn pop up flash would always leave a small reflection on the glass of the fish tank. Before I got the 622N, I ended up making a DIY diffuser/bouncer for the pop up flash that worked very well. Google “DIY pop up flash bounce” or similar and you can find some really easy ones to make. Overall, I found that the SB700 would contribute less, if at all, as long as i pointed it up or backwards. Once you get the 622N though, all problems solved! 🙂 Congrats on the SB700 it is an awesome flash.